I learned a few things today: First, I don‘t like riding in the rain. Second, I shouldn‘t get a late start when the ride is going to be 50 miles. 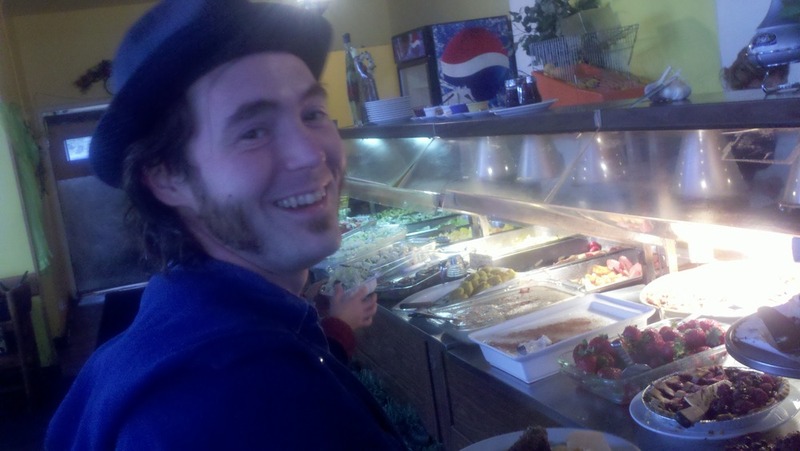 Third, I really should eat during the ride. And last, I don‘t like hills at the end of a 50 mile ride, when I haven‘t eaten anything since breakfast, and I started late, and I got rained on the first hour of the ride. But you didn‘t sign on to listen to me complain. On second thought, if you‘ve gotten this far in my blog, I guess you did. Truth is that this is the first day I got significant precipitation, and I started this trip down the Oregon coast. So I do count my blessings first. 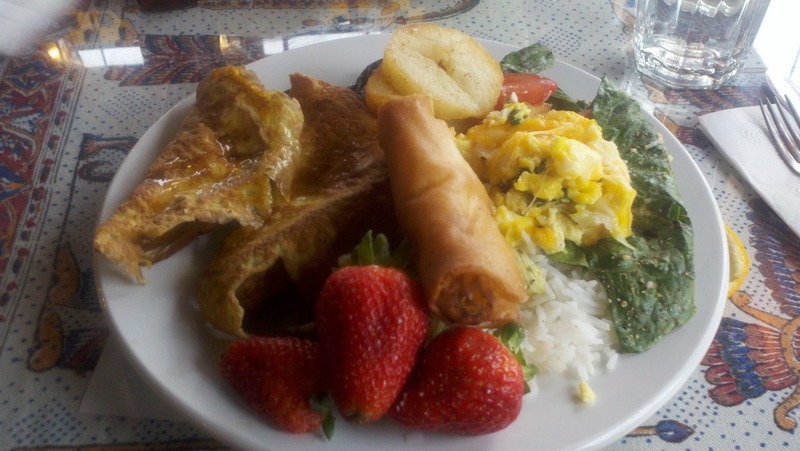 I had a great breakfast with James at a world cuisine buffet which will remain unnamed to protect his secret. If you want to go there, you‘ll have to ask James. The ride was really good, despite the previous whining. 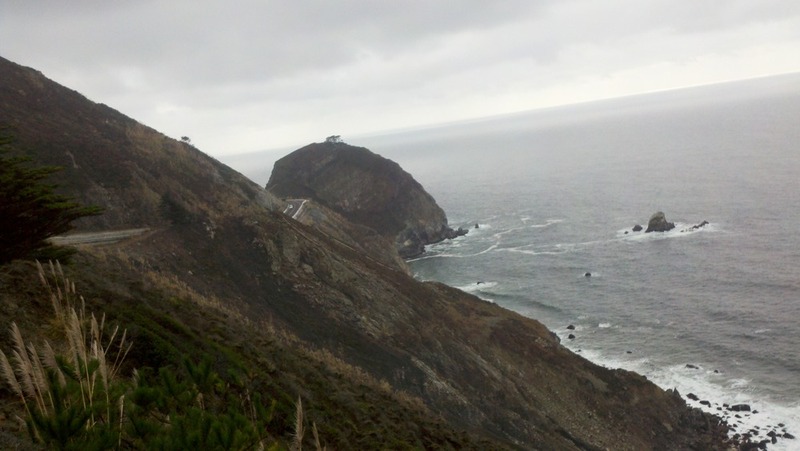 It was fun holding up traffic through the Devil‘s Slide area (tunnel should be done in 2012). 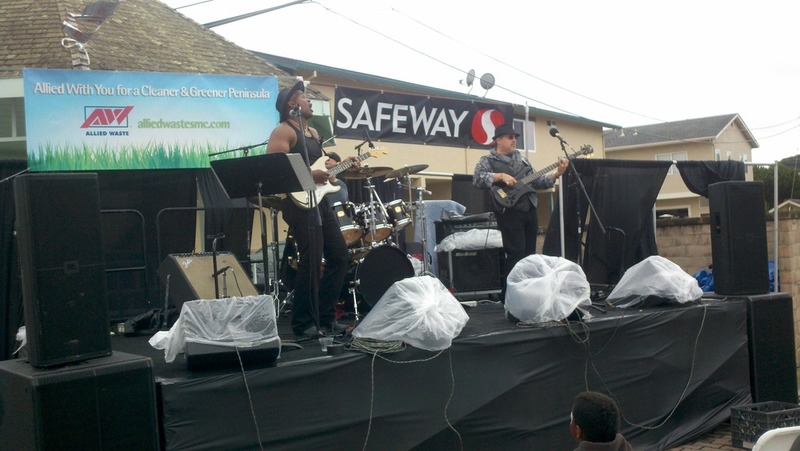 Then I dropped by the Half Moon Bay Pumpkin and Art Festival before sailing over the hills to Pescadero. 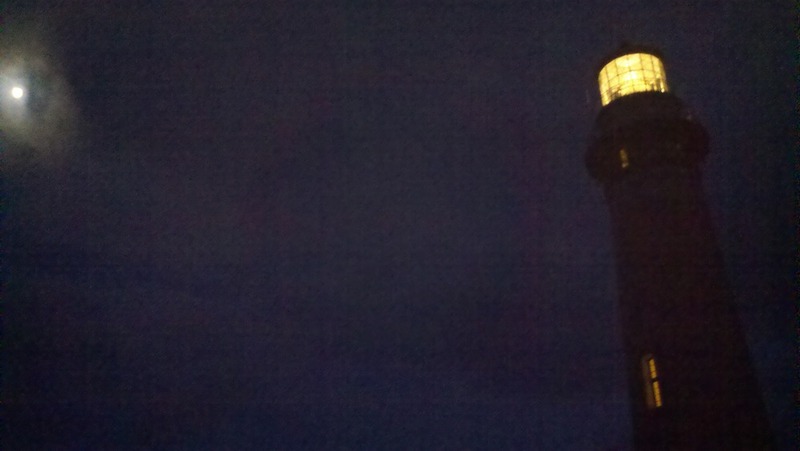 When I saw the lighthouse lamp it was a welcome beacon, as night was falling again and I had a few more miles to go. 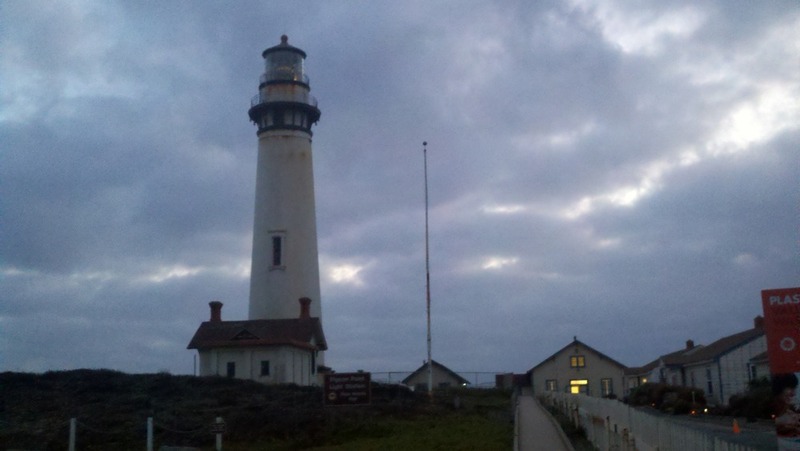 I stayed at the Pigeon Point Lighthoust hostel, enjoying a hot shower and warm bed. They even lit up the big lamp to check if it was ready for the upcoming lighthouse anniversary celebration, a rare treat.